A Wedding on Top of the Empire State BuildingWith a cake topped with miniature tigers. 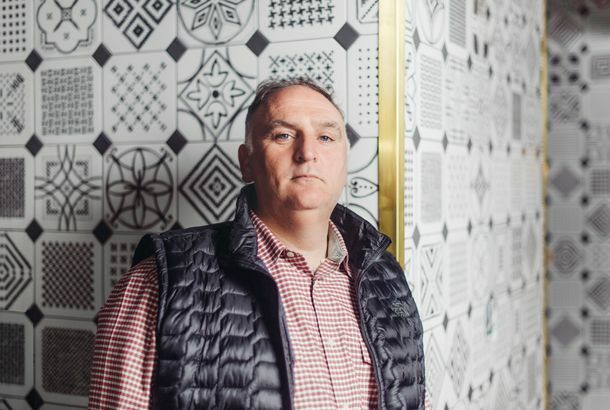 José Andrés Is Opening 15 Restaurants, All at OnceThe chef’s New York megaproject begins rolling out next week. Eggslut Chef Alvin Cailan Will Open a Filipino Restaurant in New YorkAmboy is coming to Nolita this summer. The Eleven Madison Park Guys Are Going to LondonDaniel Humm and Will Guidara will open Davies and Brook there this summer. A New Cookbook Store Will Open in Brooklyn Next MonthA rare-book seller is behind the new Cobble Hill shop. Sugarfish Looking to Open Multiple NYC Locations Next YearAlong with another branch of its hand-roll spinoff, KazuNori. 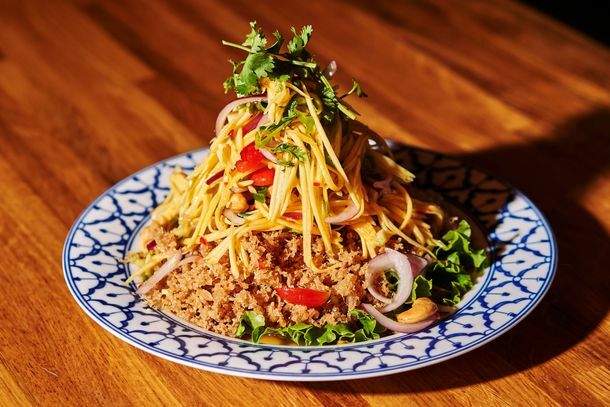 Queens’ Best Thai Restaurant Will Expand to ManhattanAyada will open a second location in the Chelsea Market this fall. The Team Behind Long Island Bar Is Opening a New Bar in BrooklynExpect a focused menu in a surprising location. 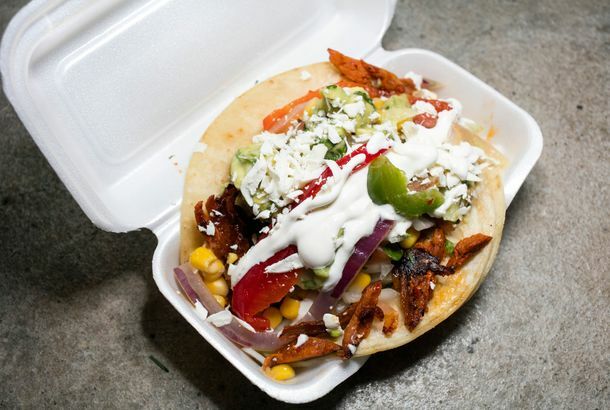 New York’s Best Al Pastor Tacos Are Headed to Queens and the LESThe family-owned restaurant has been serving spit-roasted pork since 1991. 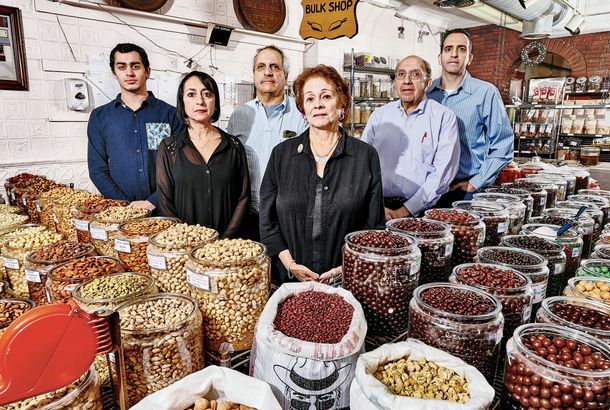 José Andrés’s Spanish Food Hall Will Open Next SpringMercado Little Spain is his first New York project and a collaboration with Spain’s most famous culinary siblings, Ferran and Albert Adrià. Zack Snyder’s Next Movie Will Be The FountainheadSnyder will skip his Afghanistan thriller for now. Blumhouse’s Horror TV Show Will Scare You This OctoberEach episode will be feature-length, and arrive on Fridays. Danny Meyer Is Opening a Taco Stand in BrooklynIt’ll arrive this summer. Just Go With It (Again): Jennifer Aniston, Adam Sandler Will Reunite for NetflixLiterally (and unfortunately) titled Murder Mystery. Madonna Is Directing Ballerina Biopic Taking FlightThe feature film is based on Michaela DePrince’s upcoming memoir, Taking Flight: From War Orphan to Star Ballerina. Meet the First ‘Customers’ at Manhattan’s Brand-new Dog CaféPUPPIES!!!! Llama Inn Chef’s Next Spot Will Be All About Peruvian SandwichesErik Ramirez will focus on takeout at Deli Llama. Saltie Will Become Court Street GrocersIt’s a passing of the sandwich. Speedy Romeo’s Chef Is Opening ‘Wood-Fired Mexican Restaurant’ in GreenpointExpect tacos, spice-rubbed steaks, and more at Oxomoco. 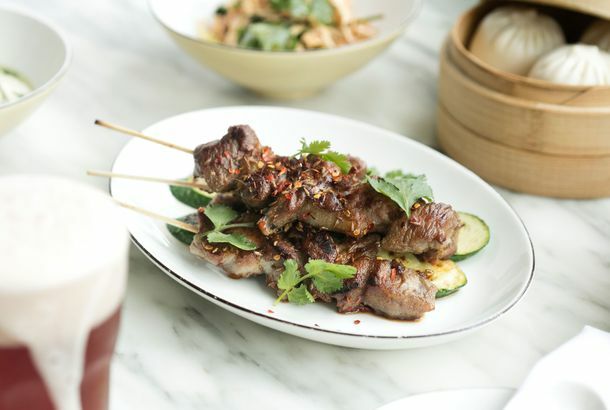 Hao Noodle and Tea Expanding With Chinese Drinking Food RestaurantExpect skewers, cold appetizers, and other food that goes well with beer. 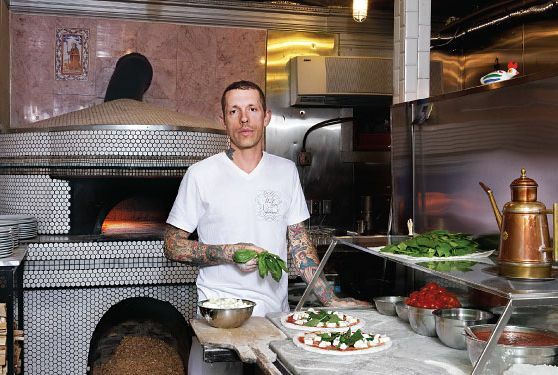 New York Rejoices: Una Pizza Napoletana Is Returning to ManhattanAnthony Mangieri has teamed up with the owners of Wildair and Contra. 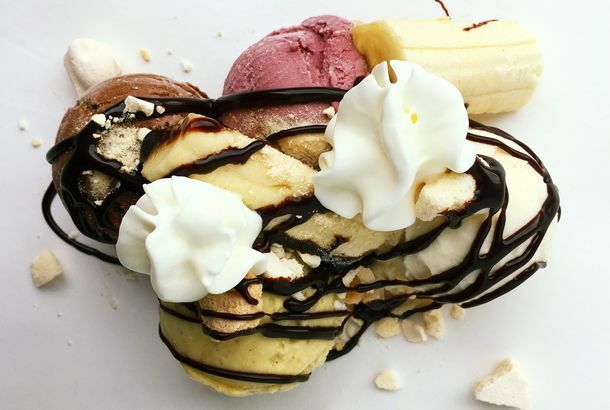 Il Laboratorio del Gelato Expands for the First Time in 7 YearsThe venerable Lower East Side scoop shop is heading to Greenwich Village. A New Mission Chinese Food Will Open in BushwickDanny Bowien and Angela Dimayuga are expanding to Brooklyn. David Chang Will Open a Massive New Momofuku Noodle Bar in MidtownIt’s slated to arrive next summer. Lady Gaga Prepares for the Super Bowl Halftime Show in Five Foot Two TrailerThe documentary also reveals the singer’s personal struggles. Chicago’s Renowned Au Cheval Will Open in New York City Next YearAn outpost has been confirmed in Tribeca for late-summer 2018. A Shop Devoted to Cream Cheese Will Open in the East Village This WeekBecky’s Bites promises to be nothing less than a celebration of the possibilities of cream cheese. Danny Meyer Will Open an Italian Café and Fast-Casual Pizzeria in AugustAnd a wine bar in September. The Bar That Gave America Buffalo Wings Will Open in New YorkAbout time. A Puppy Café Is Opening in the East VillageIt will be a BYOD situation at the dog-friendly Boris & Horton. Here’s the Unfussy Restaurant Taking Over the Old Noma SpaceThorsten Schmidt, a pal of René Redzepi’s, will open a casual spot called Barr. The East Village Is Getting a Shake ShackIt’s expected to arrive in Astor Place this fall. The First Manhattan Outpost of Pizza Sensation Emily to Open in Early JuneIt’s expected to debut on June 7. Rodarte Has Released an Extremely Rodarte Movie TrailerStarring Kirsten Dunst. An Exciting Nicaraguan Restaurant Will Open in Bushwick This FallChicha, from the owners of Little Muenster. Daniel Boulud’s Massive Midtown Project Is His Most Ambitious YetHe’s opening an 11,000-square-foot fine-dining restaurant inside a $3 billion skyscraper. Emma Stone, Steve Carell’s Tennis Biopic Battle of the Sexes Gets Fall ReleaseEmma Stone is the Billie Jean King to Steve Carell’s Bobby Riggs in a movie about the famed 1973 match. Drake Says More Life Is Coming in a WeekMarch 18. At Last, Grant Achatz Is Expanding to New YorkThe Aviary — his acclaimed Chicago cocktail bar — will open here this summer. Lady Gaga’s Post–Super Bowl Halftime Show Plans: Joanne World TourShe announced the tour after the big game. Will & Grace Co-Creator Gets NBC Sitcom PilotThe show is about adult siblings living together. Netflix Buys Sundance Anorexia Drama To the BoneMarti Noxon (UnREAL) wrote and directed. PBS Set to Produce Newspaper Series Press King Charles III playwright Mike Bartlett is writing the series.